JANM offers iPod Touch audio guides to complement its core exhibition, Common Ground: The Heart of Community. The guides are available in English, Japanese, Korean, Mandarin, and Spanish. 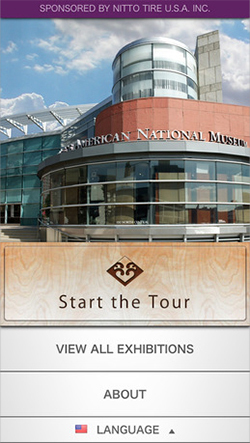 Visitors may borrow an iPod Touch with the guides free of charge while viewing the exhibition. The guides may also be downloaded free from the Apple App Store. Visiting from out of town? Stay at the Miyako Hotel located nearby and take advantage of a special rate for Museum supporters. Due to ongoing construction of the Metro Regional Connector, there may be street closures and detours near JANM. Visit Metro.net for the latest updates. We apologize for the inconvenience and hope these activities do not deter you from visiting JANM. Closed Monday, Fourth of July, Thanksgiving, Christmas, and New Year’s Day. Reserved and guided school groups receive a discount off of general admission! $5/student, $7/adult chaperon with advanced reservations. Schools that wish to come on free Thursday must make reservations in advance. Adult and senior groups of 10 or more receive an admission discount: $9/adult, $5/senior. All large backpacks, bags, and parcels must be checked in at the Visitor Services desk. The museum also has lockers available for guest use. Only service animals are allowed on museum grounds. For more information please contact Visitor Services at 213.625.0414.